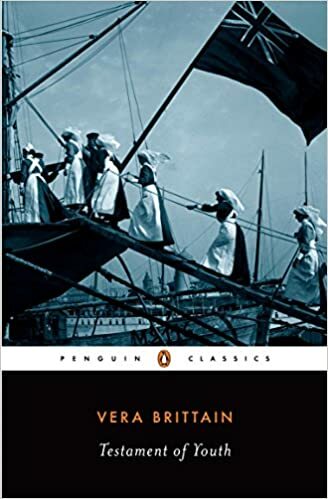 Vera Brittain was an English writer, feminist and pacifist, who wrote the best selling “Testament of Youth” an account of her traumatic experiences during the First World War. 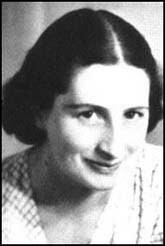 Vera Brittain was born 29 December 1893 in Newcastle to a wealthy family who owned paper mills. After studying at a boarding school in Kingswood, Surrey, she went to Somerville College, Oxford University to study English Literature. In 1915, she broke off from her studies to work as a volunteer nurse in France helping the wounded soldiers of the Western Front. The war proved a traumatic experience. Her fiancée Roland Leighton, two close friends, and her brother Edward Brittain were all killed in the war. However, she later recounts how during the war, her initial idealism faded as she became more aware of the reality of war. For example, she remembers soldiers telling how the German and British soldiers negotiated an unofficial truce, where they avoided shooting each other in the middle of no-man’s land. But, when a jingoistic officer came to the line, he ordered the men to machine-gun the Germans. It was incidents like this that made Vera aware that war atrocities were not the preserve of the Germans (as the British media of the time suggested). Although she was able to get used to the low pay, long hours and difficult conditions, Vera admits to being shocked at the state of some of the wounded men, and found it very testing to help treat men who were very badly injured. Vera was also conscious of the role women were playing in the war. It was the first time women were accepted in many areas of work that had previously been the preserve of men. In many ways, the contribution of women to the war effort was crucial in advancing the case of women’s suffrage. However, at times, she felt the role of women in the war was underplayed. After the war, Vera returned to Oxford to complete her studies; however, she struggled to adjust to normal life and was constantly reminded of the contrast between her war experiences and life in peace time. In 1925 she married George Catlin, a political scientist and philosopher. They had a son, John and daughter, Shirley Williams (who became Labour cabinet minister). Her first novel was published in 1923, The Dark Tide. Her best-selling Testament of Youth was published in 1933, by Victor Gollancz. It was published against a backdrop of increasing political agitation which gave her account more political interest. In the 1920s, she became a speaker for the League of Nations society and was dismayed when the League was unable to deal with the issues that arose in the 1930s. By the late 1930s, she was increasingly moved towards a pacifist position, and pledged herself to the Anglican Pacifist fellowship and the Peace Pledge Union. During the Second World War, she toured America at a time when the US was neutral. At home in England, she was active in the Peace Pledge Union’s food relief campaign and also worked as a fire warden. Vera also spoke out against the allied saturation bombing of German cities; in 1944 she published a booklet Massacre by Bombing. She was heavily criticised for her stance, though after the war, the validity of carpet bombing was increasingly questioned. Her name was listed on the Nazis’ black book of 2000 people who were to be immediately arrested in Britain, following a German invasion. She died in Wimbledon on 29 March 1970, aged 76. In accordance with her wishes, her daughter Shirley spread her ashes over her brother Edward’s grave in Italy. Citation: Pettinger, Tejvan. “Biography of Vera Brittain”, Oxford, www.biographyonline.net, 22nd Jan. 2010. Updated 22 September 2017.